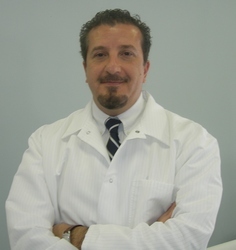 Dr. Amr Abdelaziz received his dental degree (DDS) from New York University School of Dentistry in 1988. He earned his undergraduate degree from Alexandria University in Egypt in 1984 and is a member of The Academy of General Dentistry. Dr. Abdelaziz understands many people's apprehension about visiting their dentist, and enjoys making the experience for his patients pleasant and comfortable. His goal everyday is to give a great care and compassion to all his patients. Dr. Abdelaziz is a strong believer of continuing education; he attends numerous dental lectures and seminars, to keep current with the latest technology and advancement in dentistry.